May 20 is Josephine Baker Day. This observance was instituted by the National Association for the Advancement of Colored People (NAACP) in 1951 to honor Josephine Baker, American-French dancer, singer, actress, and civil rights activist. Josephine Baker was born on June 3, 1906 in St. Louis, Missouri. She left home at the age of 13 and performed on streets for a living. When Josephine was 15, she was recruited for a vaudeville show. During the Harlem Renaissance, she performed in New York. In 1925, she left for Paris, where she became an instant success. After a while, she became the most successful American entertainer working in France as well as the first black woman to star in a major motion picture. Although based in France and having become a French citizen, Baker was an active supporter of the American Civil Rights Movement during the 1950s. Baker wrote articles on the segregation in the USA, gave talks and lectures. In addition, she refused to perform for segregated audiences even after she was offered $10,000 by a club in Miami. She worked with NAACP and was presented with life membership of the Association. 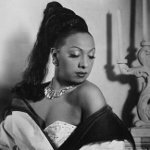 In 1951, NAACP even declared May 20 as Josephine Baker Day in honor of her efforts.